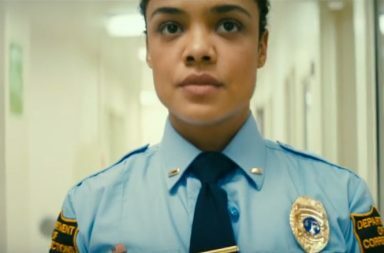 Boots Riley’s ‘Sorry to Bother You’ starring Tessa Thompson premiered earlier this year at the Sundance Festival earlier this year. Thompson stars in the movie alongside ‘Get Out’ actor Lakeith Stanfield (who stars as Cassius Green), Terry Crews, Omari Hardwick, Jermaine Fowler, Armie Hammer, Danny Glover and Steven Yeun. 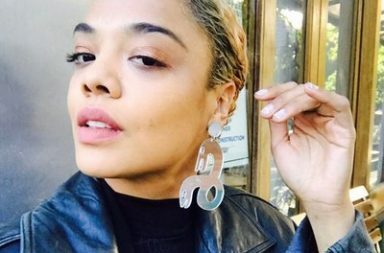 Tessa Thompson plays the girlfriend of Cassius Green who is living in his uncle’s garage and is struggling to find purpose in his life. Actively looking for a job, he manages to secure a telemarketing job and rises quickly up the ranks with the help of Danny Glover’s character – but is success all it’s cracked up to be? And at what cost? The film arrives in theaters on July 6th. Watch the trailer for Sorry to Bother You below.